Call 603-569-9599 right now for your free airline accident case evaluation! If you or someone you know have experienced injuries because of an airline accident or severe turbulence, you deserve compensation for your suffering. 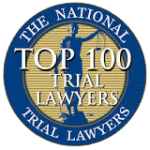 We are a nationally recognized and award winning personal injury law firm. Our highly successful and skilled aviation accident attorney in New Hampshire has experience with some of the most famous of aviation accident cases. For example, attorney Monzione was directly involved in the claims relating to the crash of KAL Flight 007 and the crash of Pan Am Flight 103, as well as others. He has a wealth of understanding of the complications involved in airplane accident cases as well as the injuries and loss of life that they cause. Give us the opportunity to our exclusive experience and knowledge to work for you. According to data from the U.S. National Transportation Safety Board report, in 2013, there were 1,298 civil aviation accidents in the United States, out of which 236 were fatal with a record total of 429 fatalities. Although airplane accidents are not nearly as frequent as auto accidents, they are often fatal when they occur, claiming lots of lives and leaving survivors with permanent injuries, both physical and psychological. Common causes of aviation accidents include faulty equipment, pilot negligence, manufacturers’ negligence and negligence of flight service station employees or air traffic controllers. Fortunately, the law permits injured persons to recover damages such as medical expenses, lost wages, funeral expenses, pain and suffering and loss of consortium for the spouse of the injured. If you’ve been injured in a car accident, the personal injury lawyers with The Law Offices of Monzione P.C., can help you with the process of filing a claim. We serve all of New Hampshire, Massachusetts, and California, including the Manchester, Nashua, Wolfeboro, Portsmouth, Boston, and San Francisco areas. When a client comes to us with an aviation accident case, we thoroughly investigate all aspects of the case in order to assess liability. Our attorneys work very hard to secure fair and just compensation for the loss of life and injuries suffered due to the airplane accident. In order to be successful in an aviation law suit, the victim must understand the issues and obstacles that arise when an airline accident occurs. Our professional airplane accident attorney, Mr. Monzione, has a thorough understanding of these issues and is fully ready to assist aviation accident victims and their families. 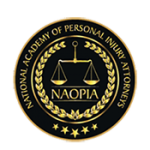 Contact us today at no fee to you to learn more about how we can help you with your specific airplane accident case in New Hampshire, Massachusetts, and California!